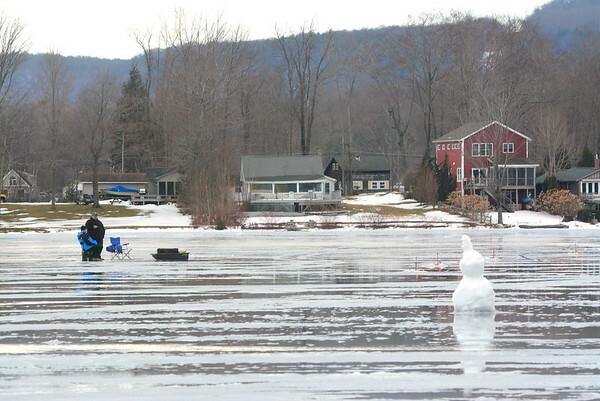 A pair of ice fishermen took advantage of the warm weather to do some fishing on Cheshire Lake near the boat launch on Route 8 in Cheshire on Tuesday. While puddles of water and slush covered the ice, sportsmen couldn't resist the warm weather to do their fishing. The Cheshire Fire Department's 3rd annual fishing derby is scheduled for Sunday on the lake with registration from 7 am-noon.